Information Sleuthing; Research Envy – Tell my story. 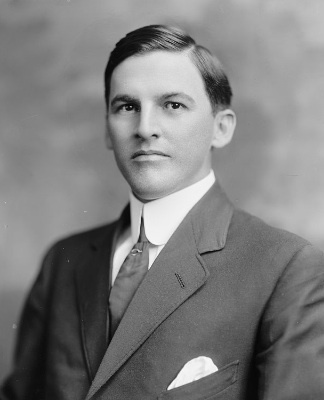 I heard back from the archivist at the University of West Florida, Dr. DeBolt, about the half-editorial written by CHB Floyd in the Pensacola Evening News for 1912. Dr. DeBolt checked the hard-copy holdings and the reserve film. Unfortunately, the bound copy and the reserve film showed that the editorial is only one half of the page, just as in my version of the microfilm. But he referred me to his colleague, Dr. James Cusick, at the University of Florida’s George Smathers Library and Archive in Gainesville. They also have copies of the Pensacola Evening News in their holdings, but he was not sure how complete they were. Dr. Cusick got back to me this morning and said, unfortunately, they don’t have anything in bound copy from 1912. The more complete holdings are at the University of West Florida, so if they aren’t at UWF…well, strike two. I’ve put queries out to the other libraries that may have Pensacola newspapers from this time period in their holdings, including the Library of Congress, but they may not have updated their holdings list, or, they simply may not have the Pensacola Evening News, period. Next, I’ll contact the CHB Floyd descendants again. Perhaps they found a collection of their ancestor’s published writing, or notes that would include something from 1912 since my last contact. Cross your fingers. Something may turn up. Meanwhile, I’ve been working on the logistics for the second research trip. What’s hard is narrowing my list of need-to-see from the want-to-see list because I simply don’t have an unrestricted amount of time when I visit. There’s so much I’d like to see, but I’m only going to have about week, maybe 10 days on the outside, to do it. Two and a half of those days are for traveling, as it is a 15 hour drive to Pensacola from here. I’m having to prioritize what I can see/do on this trip. 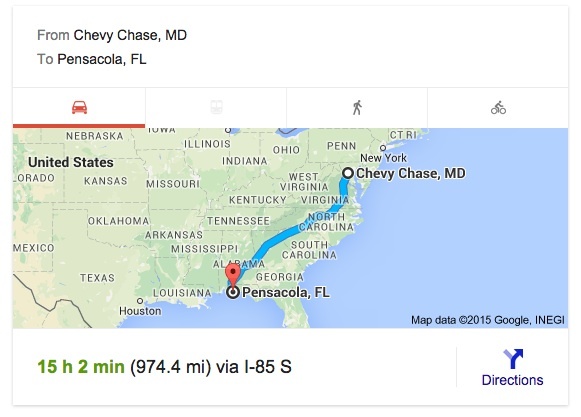 I’ll hit Pensacola, Chipley, Marianna, and (maybe, hopefully) Tallahassee. I had hoped to fit Gainesville in there, too, but it isn’t going to be possible. I don’t know about you, but I have this tendency to overthink and overplan things and events before they happen. I’m trying not to do that, but it is a bit hard, because I have a big list of items I need to see in the archives this time. The last time I was in Pensacola, the Escambia Court Archives and Records building was closed due to hurricane damage the week before I got there. So, I’m having to make up for that missed visit. Most of my time will be spent divided between Pensacola and Marianna, viewing holdings in the Escambia and Jackson county courthouse archives. Getting what I need to get done between business hours is the thing; as in, I’m worried that I won’t be able to accomplish what I need to do before I have to leave. Hell, I could stay all night in an archive if someone would let me, and I’d finish. All I need is a blanket, a laptop, and coffee in a travel cup. I’d leave the place cleaner than I found it, just like a good scout. I’d even have a fresh pot of coffee and bagels in the office kitchen ready to go the next morning as a thank-you! See, they use a LOT of legs for that legwork, AKA ‘research assistants.’ Otherwise, our friends Wes and Elyse, et al. would not be able to produce this show every week. 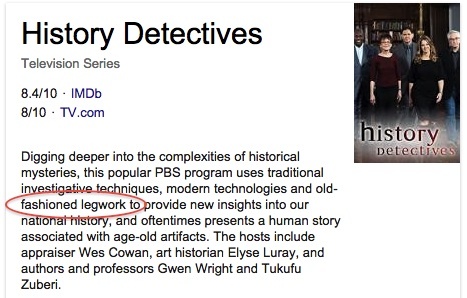 This is where I share with you my deep envy of the fact that the History Detectives have research assistants AND a budget for them! I so envy the fact that other historian-type writers, such as David McCullough, have research assistants AND a budget for them! A colleague has suggested hiring a research assistant at the Gainesville and Tallahassee libraries to look the information up for me if I run out of time. It is a good option, but honestly, I much prefer to see this information for myself. I hate the idea of delegating that to a research assistant, because I don’t want to miss anything in the discovery process, including holding the same document that Emmett might have held in his hands once upon a time. Still. Nowhere is it written that Emmett’s research must be done in one fell swoop, all by my lonesome; and in fact, much of my research has been about cooperation with many willing others who are simply glad to help. There are RAs on staff at these two libraries who would be more than willing to help me with this project. Some of these students who need the research experience for academic credit. It’s worth investigating.